Today, being prepared is essential. 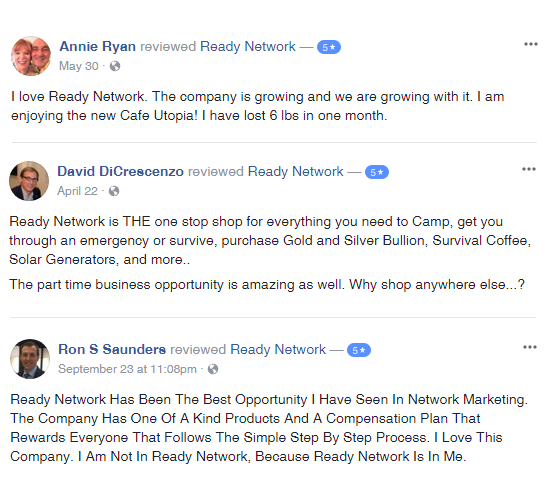 Equally important is the Ready Network’s business opportunity, where you can earn additional income by just spending a few hours a week making sure your friends and family are as prepared as you are. 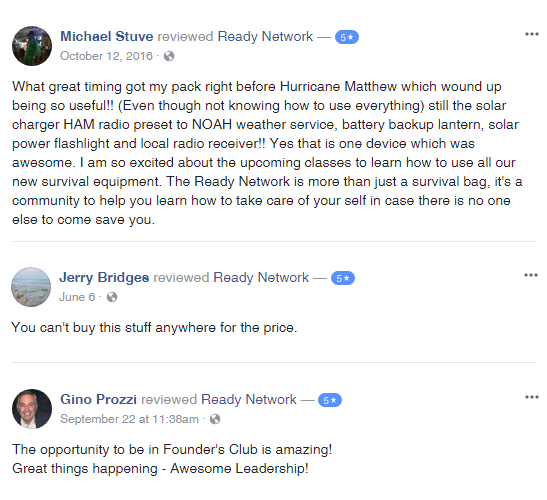 Join Ready Network® today as an Independent Ready Partner. 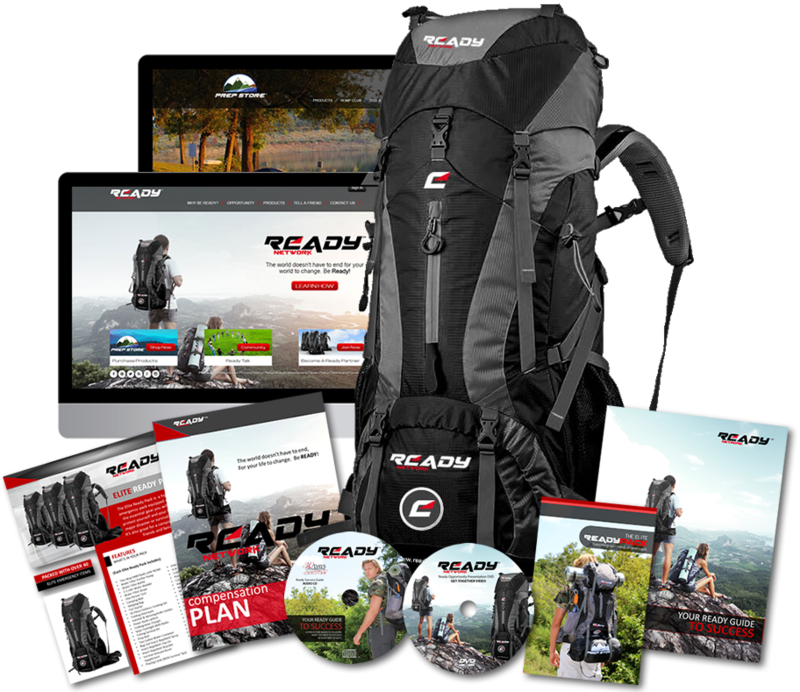 Ready Network® will send you the Elite Ready Pack stock full of high-quality survival gear, along with your Ready Welcome Kit that’s filled with the tools you need to succeed as a Ready Partner. You will also receive a Replicated Ready Network® website and Replicated Online Store. 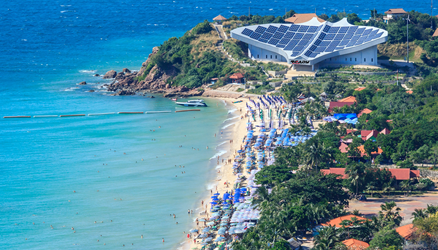 Join Ready Network® today as an Cafe UTOPIA Business Partner. 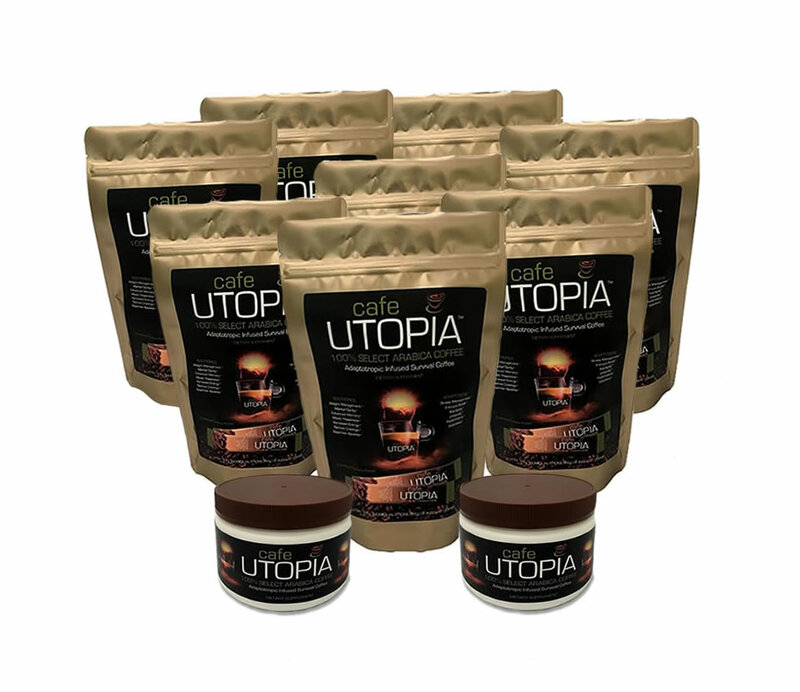 Ready Network® will send you one of the Cafe UTOPIA Business Builder Packs which includes stick packs and tubs, along with your Ready Welcome Kit that’s filled with the tools you need to succeed as a Cafe UTOPIA Business Partner. You will also receive a Replicated Ready Network® website and Replicated Online Store. Sponsor and maintain three Ready Order Monthly Product (or ROMP) Club Members and, in turn, qualify for the ‘Ready to be FREE’ BONUS. Now that you are qualified Ready to be Free you will receive the monthly featured product for FREE, including all of the other benefits with your monthly RAD, as long as you stay qualified. Enrolling new preferred customers is how you build residual monthly income. When you enroll new ROMP Club Members, you will receive a ‘ROMP Acquisition BONUS’ – this is a one-time cash bonus for every new ROMP Club Member you enroll and is paid within the weekly commissions. If that wasn’t exciting enough, you now receive a Real Money BONUS of one Silver Bullion Ready Coin for each new personally enrolled ROMP Club Member you enroll. If the new Members enroll new ROMP Club Members, both you and those you enroll will receive a Real Money BONUS. Get additional rewards as you lead your team to success. In your first 90 days, help your 3 new Senior Ready Partners become Ready Executives by enrolling 3 new Senior Ready Partners each, and earn the Silver Bullion Bonus. 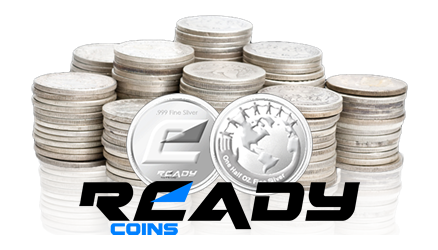 $250.00 in Silver Ready Coins. 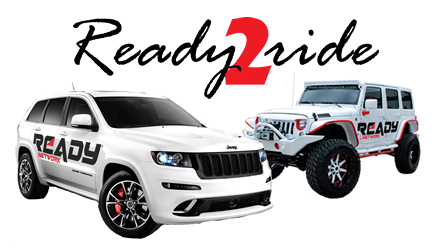 You can earn the Ready2Ride Bonus by helping your team rank advance! Help your 3 new Ready Executives become Senior Ready Executives by enrolling 3 new Ready Executives each. When you earn and maintain the rank of Regional Ready Executive or higher, Ready Network will make a payment on a car of your choice up to $500.00. Get rewarded for helping others be ready and prepared for anything. You can earn a lot and a home in our Off Grid Organic Life Saving Community. 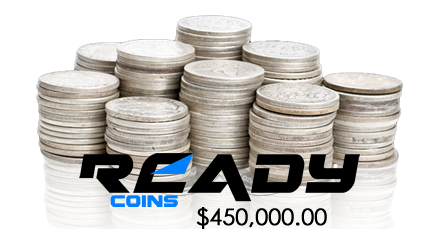 You can earn the Life Saving Silver Bullion Bonus of up to $450,000.00 in Custom Silver Ready Coins. 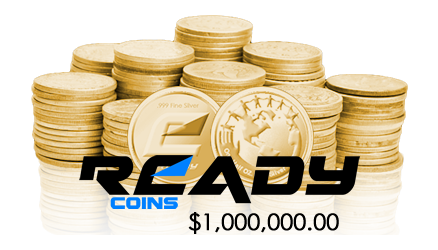 You can earn the Life Saving Silver Bullion Bonus of up to $1,000,000.00 in Custom Gold Ready Coins.